I explained Pirate Week to a student and then asked what a pirate says. His response: "aaaaah"! Which would explain why he is in speech! 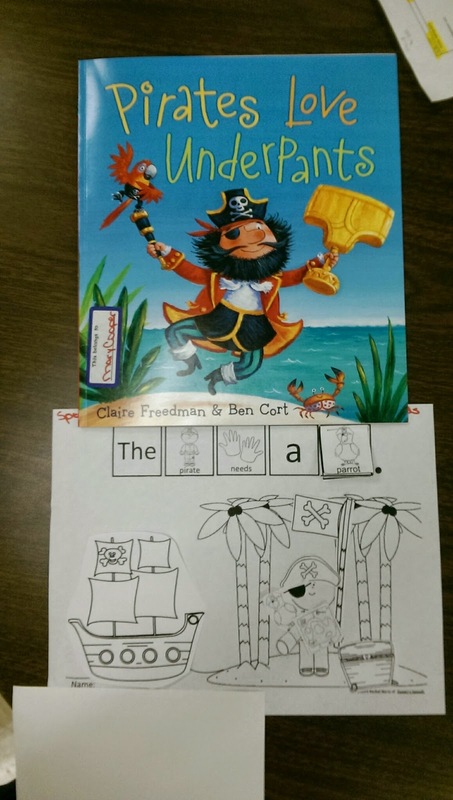 This week, I used a book that I bought in last Spring's Book Fair: Pirates Love Underpants by Claire Freedman. What kid doesn't laugh at the word "underpants"? Reminder: to view larger pictures, click on the picture and scroll through. 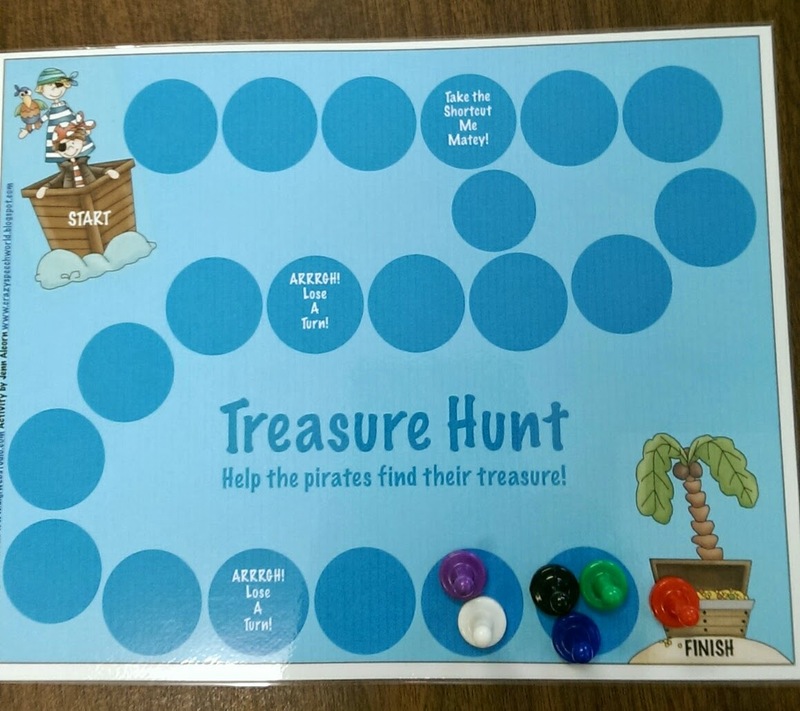 During the "independent station", the students played "Treasure Hunt" (from Pirate Language Activities! by Jenn Alcorn) to see how far they could get. The picture below is actually from a couple of artic groups that I had to see together due to a schedule change on Tues. 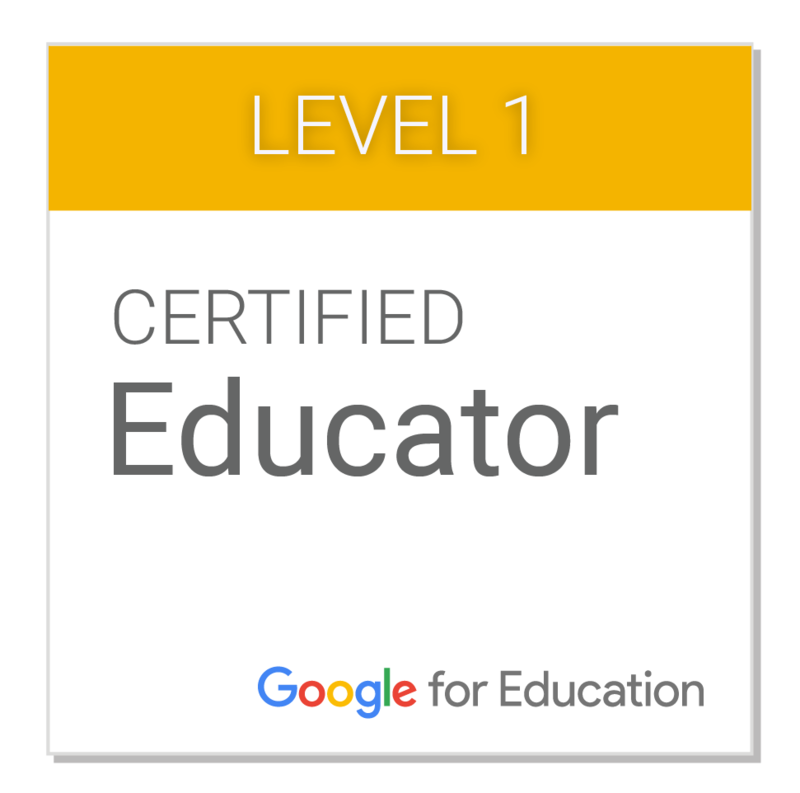 I had 6 students in 1 group & didn't accomplish anything! Instead of a "5 minute day" with that group, we played the game. As luck would have it, Structured Sentence Building (Queen's Speech) has a pirate sheet included! 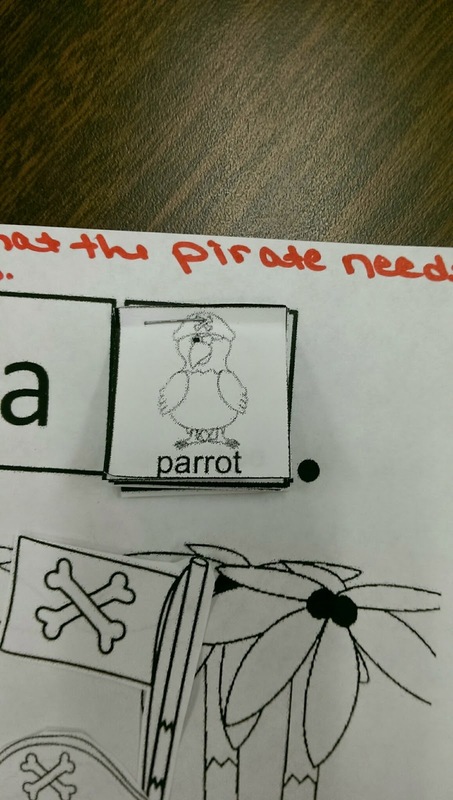 This one is a little different: the student glues the parts on the sheet, then builds the sentences using the carrier phrase: The pirate needs a _____. Perfect for a take-home activity! 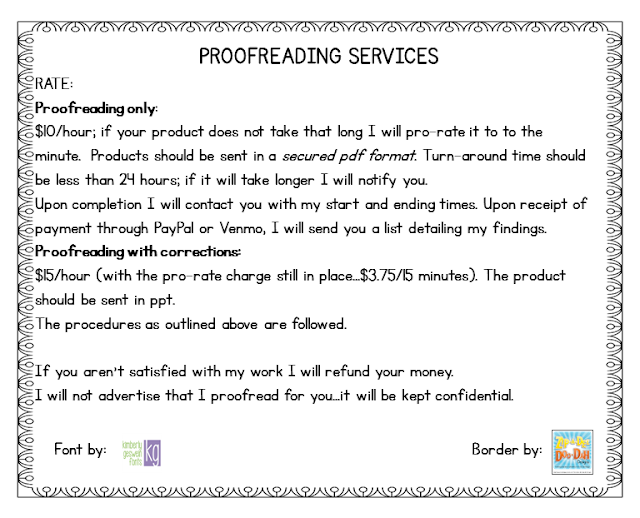 If you don't have this in your library, and have students who are working on increasing MLU or sentence building, this is a perfect activity. The parents really like it, too! We also did some following directions with basic concepts using this little book X Marks the Spot (freebie!) from Sped-Ventures. 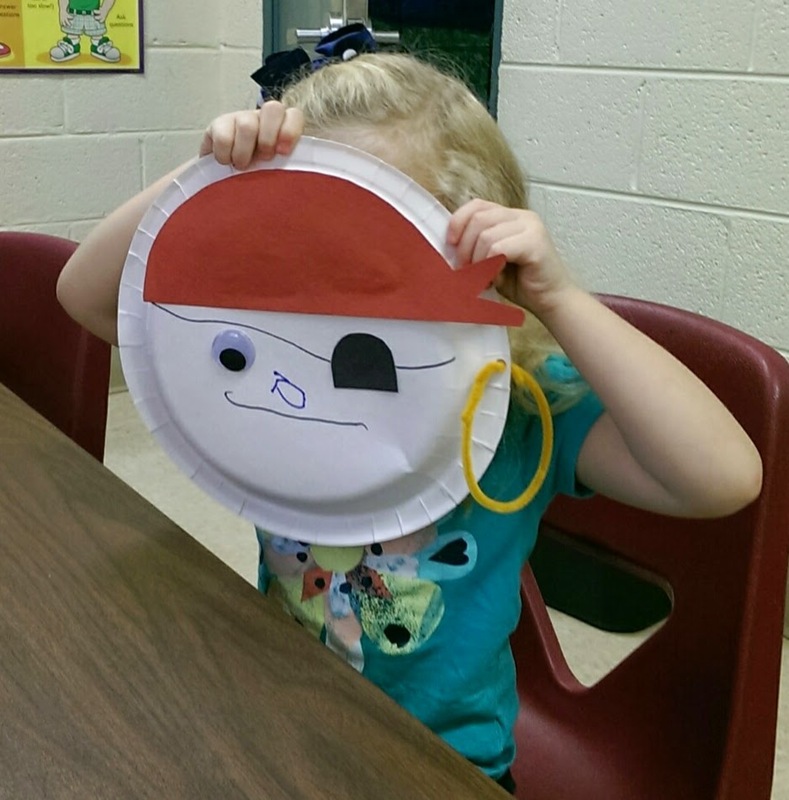 I ended the week with a free Pirate Craft from Alyssa Plummer. 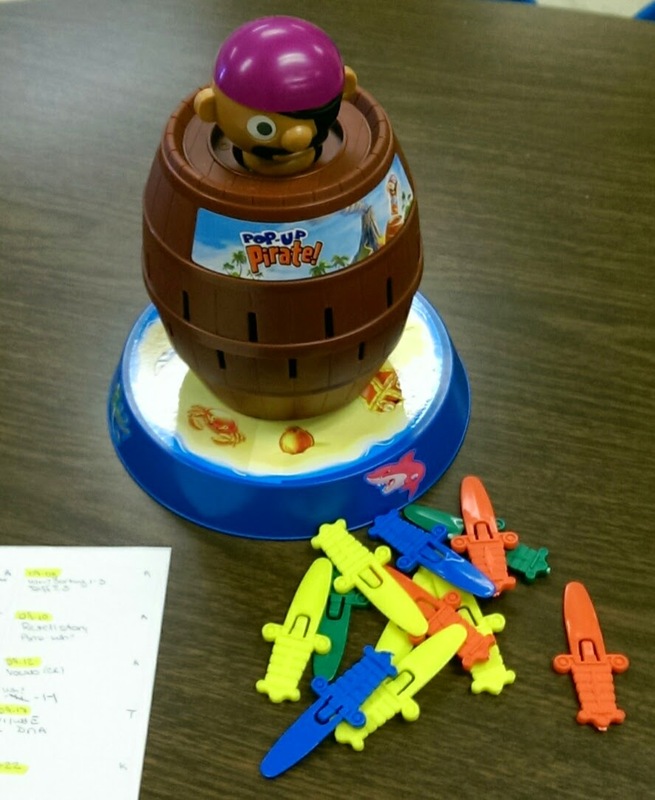 Pirate Inferencing (Part of the Pirate Language Activities! 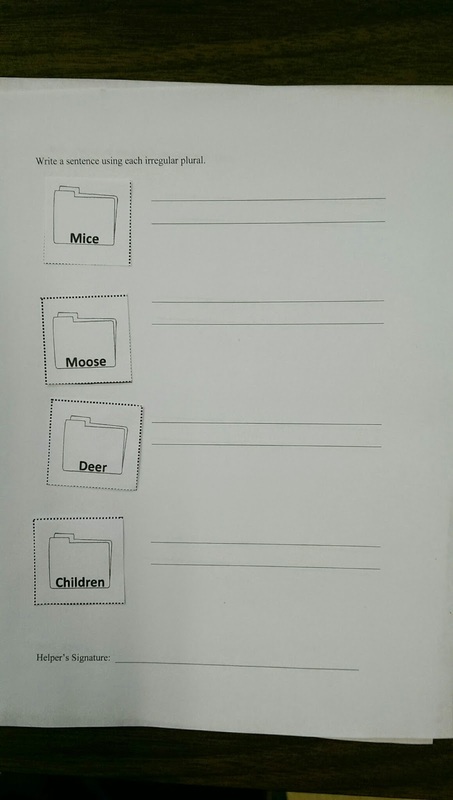 from Jenn Alcorn) is a must for those older elementary students working on inferencing. 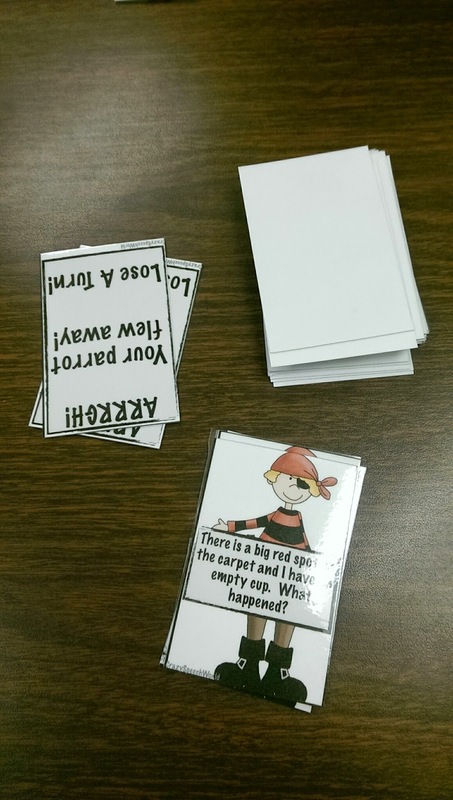 I used this all week with my older language kids, and paired it on Thursday with our game of the week. 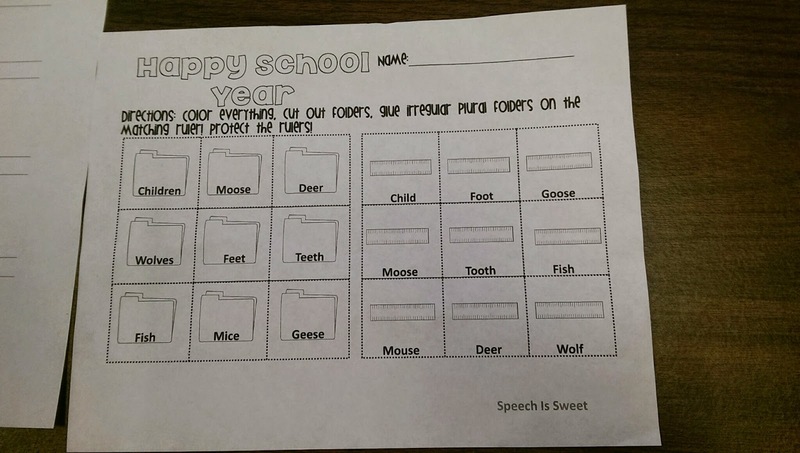 This particular student's homework is to write a sentence using the irregular plural word. 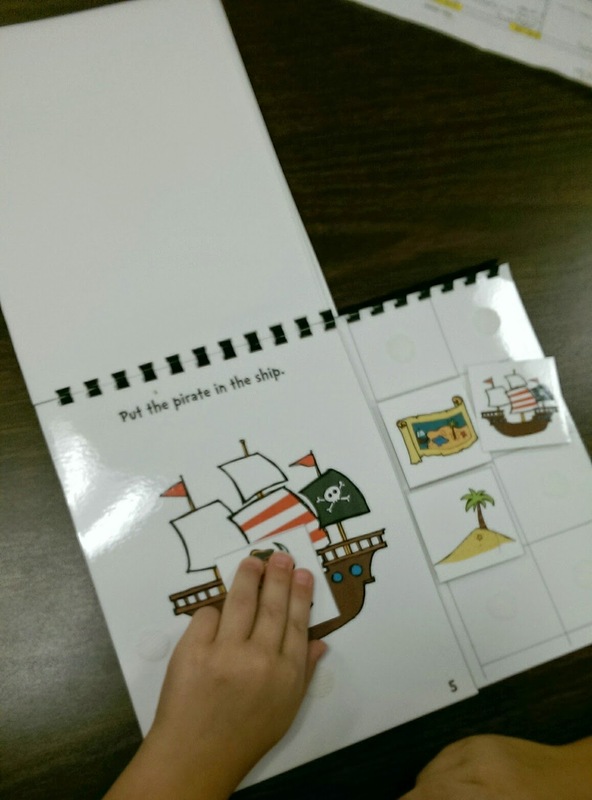 My artic kids who are working on the word & sentence levels took home Talk Like a Pirate, Color & Say (free from Tech & Talk SLP's). The sounds are divided by position, and there is a sheet for the boy pirate and the girl pirate. 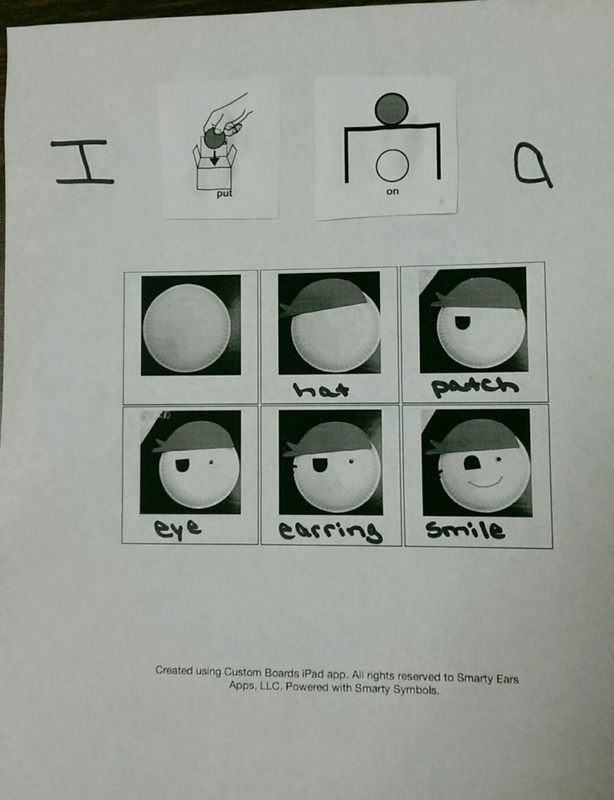 I didn't have the students color the pictures. 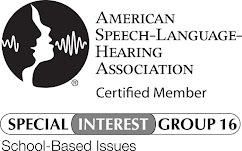 For those students who are on the isolation level (or working on /k,g/), I used another freebie, Pirate Treasure: Open Ended Articulation Homework by 1sparklleslp. 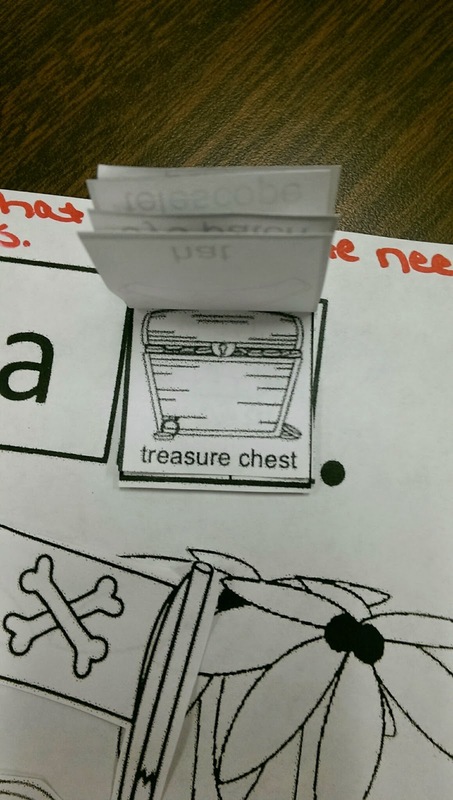 I wrote in words from our book of the week that had the student's sound, and at the bottom added "After your helper reads each word, tell her where the (sound) is." For my student who is working on /k,g/, I wrote in words from the story. 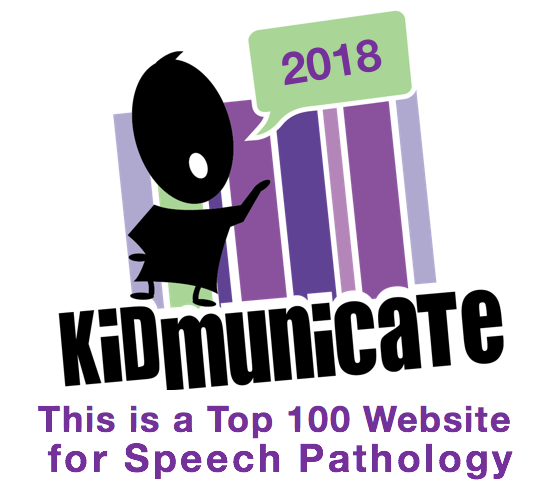 I hope I've given you some ideas and resources for next year's celebration of "Talk Like a Pirate Day/Week"! 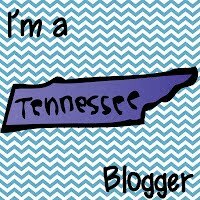 Link up with what you did last week, or what you're planning for this week! Thanks for the shout out! I totally need that pirate pop up game! I am simply AMAZED at all the individualized plans you have each week. Incredible! Great ideas and links. You certainly were busy! !